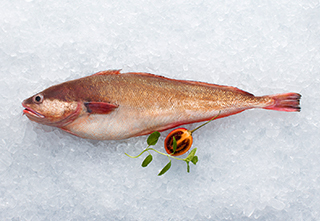 The main concentrations of red cod are found off Canterbury and Westland. These fish are elongated with a small tail, have a barbell under the chin and a rusty-red back which fades to a light orange on the belly. They have a delicate white flesh that flakes easily when cooked. Great for smoking, frying, baking or poaching.